Three selected designers, including SEMdesign, were giving the assignment to design a line of accessories for the launch of a new type of bed: 'My Bed'. SEMdesign has designed the Kimono and slippers for children and adults. 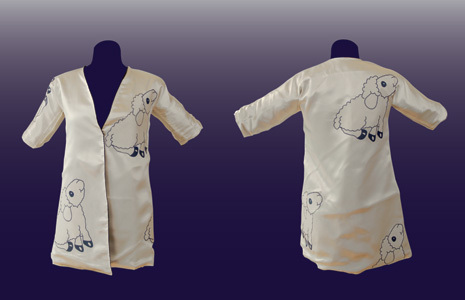 The image of the sheep, that we put forward in the design, became the logo for the entire collection.